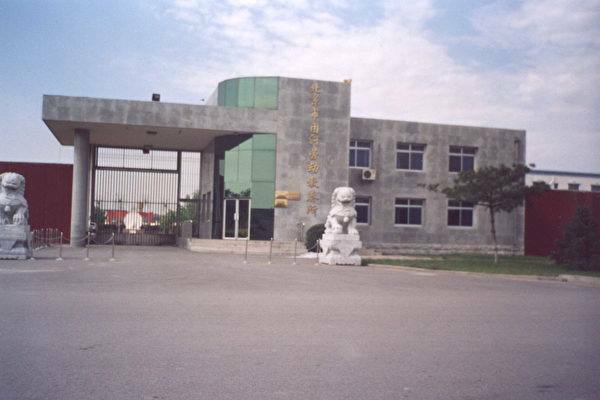 On April 4, 2001, I walked out of this labor camp gate alive, after being pushed to the verge of total collapse for countless times. The last thing we were asked to do before being released was to take off our labor camp uniforms and to change back into our “normal” clothing which our family members had given to the police before hand. 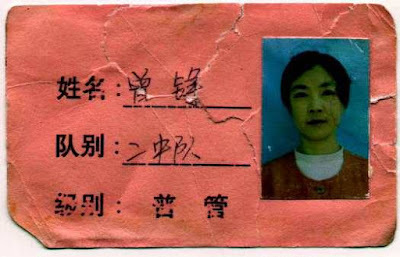 After I took off my labor camp uniform, I took down the name badge we were required to wear all the time; and started to tear it up: I wanted to destroy it as a disgraceful reminder of all the humiliations we suffered inside the camp. But I suddenly realized: Wouldn’t it also be able to serve as an evidence of the persecution I experienced? So I put the half ripped name badge into my pocket and sneaked it out. About one month later, an old friend suddenly flew all the way from US to China; and gave me a used laptop computer, saying that he just bought a new one and wouldn’t need it. I was so grateful and immediately started pouring out what was already in my mind into this laptop. I even didn’t bother to draft an outline of chapters or any sub-lever structures first. I just wrote non-stop. On August 31, 2001, less than five months since my release , I was on the plane to Melbourne, Australia, with a legal passport, a valid visa; all my labor camp evidences, and an “empty” laptop: I had sent all my finished writings to my own email box for me to download after I arrive; and had deleted everything in it. In January 2004, my book in Chinese language, “Still Water Runs Deep”, was published in Taiwan. In March, 2005, the Australian edition of my book in English, “Witnessing History: one woman’s fight for freedom and Falun Gong”, was published by Allen & Unwin, the largest publisher in Australia. In May, 2006, the US edition of my book in English was published in New York. In April 2012, the award-winning documentary “Free China: The Courage to Believe”, with me as one of the two main characters, was premiered at the “2012 Palm Beach International Film Festival”, before it was spread and screened all over the world.